Stories need to have believability in the magic created for characters. I don’t like books where characters suddenly realize she or he has a power, such as a character suddenly realizing she always had the power to turn her enemies into toads with just a thought at the end of a book to solve the final conflict. The story is now unbelievable, like the author suddenly realized they put their characters into a situation she couldn’t get out of so the magical wizard suddenly finds her power. I find myself asking, “Where did that just come from?” and scanning back in the book to find what I missed. On the other hand I don’t mind characters that are growing with their power. If the hero starts with only being able to start a soft breeze and by the end of the book he can create a hurricane, that works too. Just as long as the readers get to see the character grow and change with their new found abilities. The heroines and heroes of my favorite stories have to have limits, if they don’t why is the antagonist even a threat? I have read a few stories where the heroes or heroines are near impossible to harm or even kill and I found myself wondering, “Why don’t they just rule the world?” I mean obviously no one can even touch them. I like limits, I can relate to characters with limits and people who have to make sacrifices for the things they want. This also creates conflict which is essential to any good story. A great way to create limits is the source for power and magic. The source needs to be believable such as a genie who can only grant three wishes or blood as the sacrifice for more power. With limits the characters have to think before they leap. Plus this gives us romantics a way to spice up our stories, what better way to say I love you then having the main character sacrifice everything for the man he loves? Also think about instruments needed for magic such as wands or ingredients like salt or herbs. If a mage needs to have a wand or a dove’s feather to perform magic there is a limit to the power giving him or her a weakness and believability. Okay my blog followers, it’s writing Wednesday! So I have been working on creating my world and decided to even set up a document dedicated to my creatures. I have a history, culture, sexuality, strengths, weaknesses, personalities and even a social structure section in the document. This was so fun to make! I highly recommend this technique for anyone writing on fantasy creatures so they keep all the rules on their creatures in order. I prefer the paranormal worlds such as fantasy and sci-fi….obviously, hence the blog. And because this is my preferred reading genre I wanted to start writing down the stories that play out in my head. I have enjoyed working on this fantasy world! Hopefully, with little luck and some talent we will be a published writers, but only time will tell…or maybe an oracle. Keep Writing! Creating the futuristic and sci-fi world has to be based more on science then on pure imagination. It’s called science fiction for that reason and should have aspects that work with different types of science including things like cloning, space travel, putting colonies on another planet, or even alien invasions. Making the rules in fantasy can be even more complicated then the world of sci-fi. The rules here can be anything you want to imagine. Science can be thrown out the window and any thing you dream up can be used. This may seem slightly easier to write, especially since you can conjure up any type of fantasy world you want. Unfortunately, it’s not as easy as it sounds, rules still need to be made especially if you are going to create characters that your readers can relate to on some level. There are two great books I recommend reading for the creation of sci-fi and fantasy. 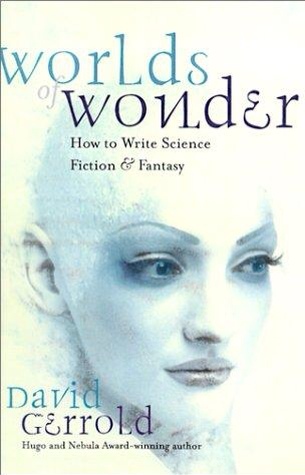 The first is by David Gerold called Worlds of Wonder, he is not only a successful writer himself but the book is filled with great advise on how to create complex worlds and visionary tales. The second book is by Orson Scott Card called How to Write Science Fiction & Fantasy. This book is also written by a successful science fiction/fantasy writer on how to get your world started and populated. So good luck to the fantasy and sci-fi writers out there and don’t forget to keep dreaming!